So, I saw this on my Facebook feeds I think one of my friends commented/liked it. You can view it here. Then I had this sudden urge of blogging about it because of craving to have one. Come to think of it, I haven’t had any decent bags – I usually end up with back packs, I miss having nice shoulder bags. 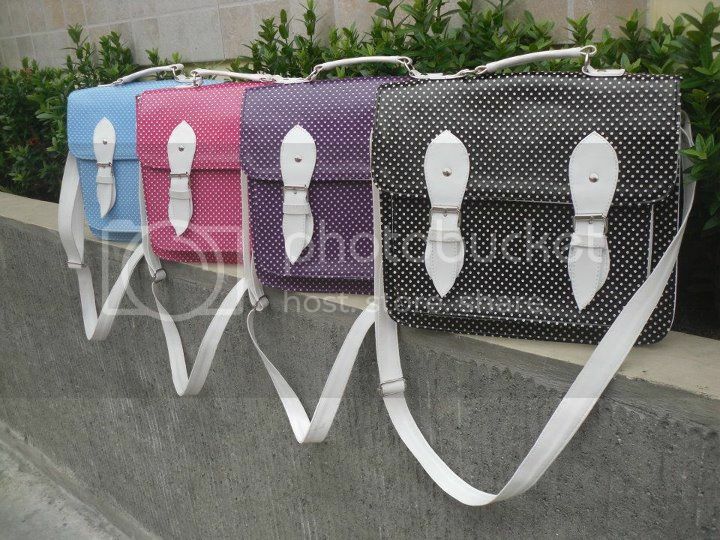 I always chose them for school back then, then I got bored, plus the designs of my shoulder bags are boring as well. This one however, it seems simple yet elegant in a way, isn’t it? I got a new bag on my birthday, it’s cute but I want this one too! Maybe I need to shop for a new bag, hmm? Posted in Bags, Fashion, Favorites, Gifts, Girly stuff, Happiness!, Inspiration, Kawaii, School, Shopping, Shops, Stuff and tagged fab polka bag.